Answer: The French revolutionaries took many steps to create a sense of collective identity among the French people. They took the recourse to romanticism. Romanticism was a cultural movement which sought to develop a particular form of nationalist sentiment. Romantic artists usually criticized the glorification of reason and science. They focused on emotions, intuition and mystical feelings. They tried to create a sense of collective heritage, a common cultural past, as the basis of a nation. They focused on promoting the local culture to connect to the masses. Language also played an important role in developing nationalist sentiments. French was promoted as the main language in France to create a sense of single nation. In Poland, the Polish language was used to show rebellion to the Russian dominance. The French Revolution (French: Révolution française) was an influential period of social and political upheaval in France that lasted from 1789 until 1799, and was partially carried forward by Napoleon during the later expansion of the French Empire. 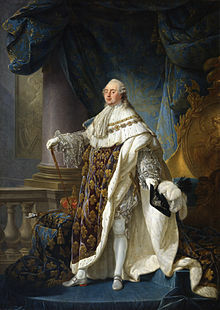 The Revolution overthrew the monarchy, established a republic, experienced violent periods of political turmoil, and finally culminated in a dictatorship by Napoleon that rapidly brought many of its principles to Western Europe and beyond. Inspired by liberal and radical ideas, the Revolution profoundly altered the course of modern history, triggering the global decline of theocracies and absolute monarchies while replacing them with republics and democracies. Through the Revolutionary Wars, it unleashed a wave of global conflicts that extended from the Caribbean to the Middle East. Historians widely regard the Revolution as one of the most important events in human history.